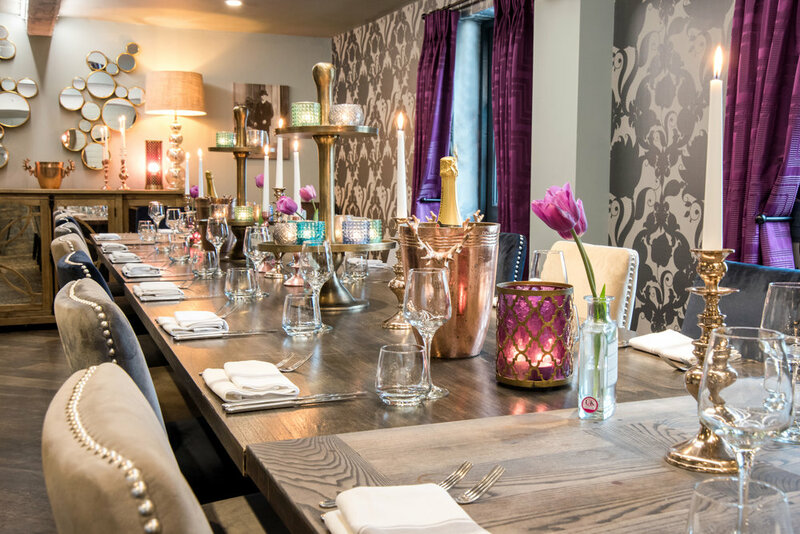 The Bell, an eighteenth century coaching inn is situated in the heart of the picturesque village of Alderminster, close to the cultural town of Stratford upon Avon with its many attractions, and the gateway to the Cotswolds, and is part of the historic Alscot Estate. Alscot is a thriving award winning country estate headed by Emma Holman-West. The Bell has been managed in house for over six years and has gone from strength to strength whilst under Emma's wing, undergoing building and product development to achieve a reputable and multi award winning modern day country pub, restaurant and B&B. General Manager Chris Swain and his team have a wealth of knowledge and experience gained from working in the hospitality industry, and are on hand to offer excellence throughout. The Bell; a former eighteenth century coaching inn, is situated in the heart of the picturesque village of Alderminster. The village is the gateway to the Cotswolds, located on the famous Shakespeare’s Way, and close to the cultural town of Stratford upon Avon with its many attractions including the renowned Royal Shakespeare Theatre. The Bell is part of the historic Alscot Estate; a thriving award winning country estate headed by Emma Holman-West. Managed in house, since 2008, The Bell has gone from strength to strength whilst under Emma's wing, undergoing building, product and staff development to achieve a reputable and multi award winning modern day country pub, restaurant and B&B. The management and team have a wealth of knowledge and experience, gained from working in the hospitality industry, and are on hand to offer excellence throughout. Whether it be a bar snack, light lunch or special dinner, our chefs are passionate about the food we offer, and use locally sourced fresh seasonal produce to create a delicious menu of British favourites. The Bell is proud of its AA Rosette for culinary excellence. There are nine extremely comfortable and individually styled guest bedrooms with en-suite facilities. The Bell boasts ample outdoor space including a spacious landscaped garden with adjoining meadow and plenty of car parking. Drinks are served outside in the meadow garden from The Baby Bell; a converted and strikingly decorated shepherds hut.